"They have a wide variety of frames and were helpful with selecting." "Professional, friendly service. The quality of service is second to none!" Knowledgeable, caring, and one of our own! Your Optometrists in Riverside, CA. Call us at 951-684-7822 today. We believe your eyes deserve the best: come to our office to see the modern, technology-driven culture we have created for you. We believe your time is important: virtually shop on this website, try on frames on your own time so that when you come, you know what you want to look at and try on! Schedule online or email us. Get your contacts shipped from us to your home or work. Get text notifications. Get your glasses in an hour. Fill out your medical history online so that you minimize time in the office. We know you have a choice and when you come in to our office, we know you are placing your trust in us. That belief drives our decision to invest in great doctors who care and listen, and are willing to learn and stay current with new or innovative treatments. That belief drives us to invest in technologies that will help us be better doctors and opticians, because your eyes deserve the very best! VSP MEMBERS: We are a VSP PREMIER network provider. Seeing a Premier provider and purchasing your eyewear with a Premier provider gives you extra benefits. 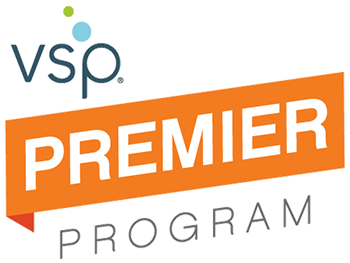 Click on the VSP PREMIER PROGRAM button to see the exciting benefits we offer to our VSP patients! Call us at (951) 684-7822 or schedule an appointment today online. Cheryl M. Everitt, O.D. received her Doctor of Optometry from the Southern California College of Optometry in Fullerton, California in 1994, and her bachelor’s degree in biology from California State University, Fullerton. Eugene C. Kim, O.D. received his Bachelors of Science degree from the University of California Los Angeles (UCLA) and his Doctor of Optometry degree from the Southern California College of Optometry (SCCO) in Fullerton in 2007. 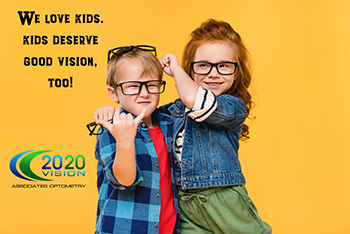 Dr. Kim has been serving the Riverside community and practicing at 20/20 Vision for over 10 years now. Mallory A. Kennedy, O.D. received her Bachelors of Science degree in biochemistry from the University of California Riverside and her Doctor of Optometry degree from the Western University of Health Sciences College of Optometry in 2016. "Great service! Everyone from receptionist to doctor to optician was great. They have a wide variety of frames and were helpful with selecting. They also made sure I got the most for my money. Overall a great experience." "Beautiful office with all of the latest technology, a helpful, knowledgeable staff and HUGE selection of frames. And of course Dr. Everitt is amazing! The only smart option for your vision care in the Inland Empire."